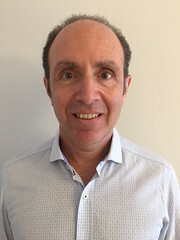 Associate Editor, Dr. Fauze Maluf-Filho, highlights this article from the September issue “Stent as bridge to surgery for left-sided malignant colonic obstruction reduces adverse events and stoma rate compared with emergency surgery: results of a systematic review and meta-analysis of randomized controlled trials” by Alberto Arezzo, MD, et al. This study is the most comprehensive review of the outcomes of the strategy of stenting as a bridge to surgery in patients with malignant colorectal obstruction. It addresses the issues of both short-term and long-term outcomes after stenting and resection, with special emphasis on the risk of cancer local recurrence in the “stent” group. The strategy of ” stenting as bridge to surgery” increased the primary anastomosis rate and reduced overall morbidity and stoma (temporary and definitive) rates in patients with malignant colorectal obstruction submitted to resection. Regarding the long-term outcomes, the “stent” group did not present higher risk of cancer local recurrence compared to the “no stent” group. Figure 4. Forest plot for the overall morbidity rate within 60 days.